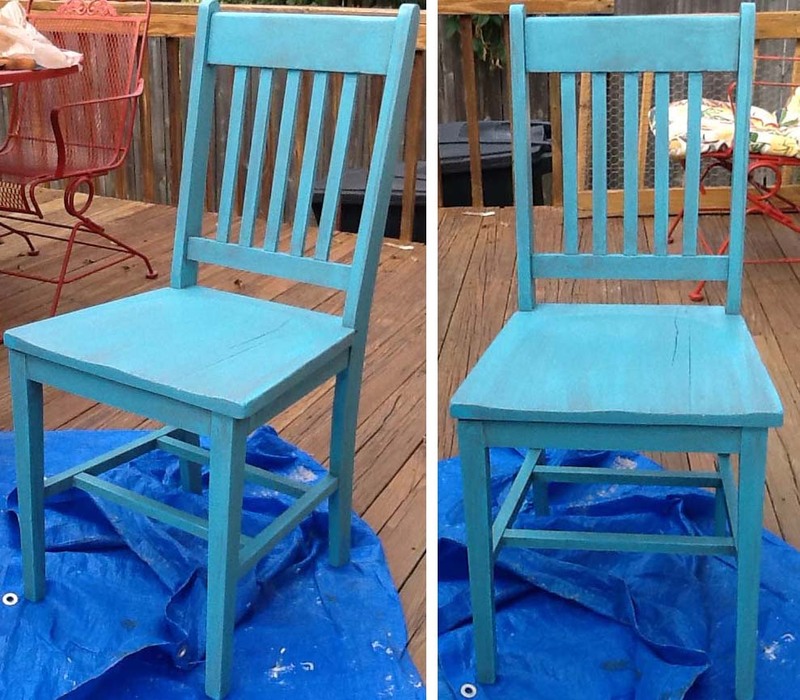 This wooden chair is one of my not-so recent finds, but it needed a little help. As one always does when redoing furniture, I sanded and wiped down the chair. It only took me 10 minutes and I did it while I was letting my candles dry. It already looks better, but was a little rickety and the seat part was falling off. I brought it to my dad and he worked his magic. Five months later, I finally got around to doing something with it! We were painting my new desk and decided to bring this out and paint it to match. Primed, painted, added the wash, and it is a perfect match to the desk. I'm not sure if I will use it at the desk or not, but it will be nice to have something else in the room that coordinates with the desk. I love Clove in the background! hahahahahhaa!!!!! She's always trying to sneak in my pictures. You can see her in some of the desk pictures too.